Food banks fill a crucial gap in the lives of those in need. But how does the nutritional quality of their food stack up? Two food banks in New York City open their doors to questions. It’s one thing to give hungry people food. It’s another to give them food with nutritional value. Yet that’s the challenge food banks across the country face on a daily basis, especially in New York City where an estimated 1.4 million people rely on emergency food programs. When you consider the role diet plays in health, there’s no question that distributing healthy food to those in need is critical. Diet, after all, is arguably the most important variable in determining a person’s health, but the majority of Americans, including those served by food banks, follow a standard American diet and as such, fall significantly short of necessary nutrients. Take fruits and vegetables, for instance. A report from the Centers for Disease Control and Prevention revealed that 76 percent of Americans aren’t meeting recommended fruit intake while 87 percent aren’t eating the recommended amount of vegetables. Instead, Americans are gulping down things like sugar – while the American Heart Association recommends that men eat no more than nine teaspoons of added sugar a day, women six, the average American consumes 23 teaspoons per day – and fat, both of which contribute to obesity and chronic diseases like heart disease and diabetes. That, however, is just the average American. For low-income folks, many who rely on food banks, poor nutrition — and poor health as a result — may be even more common, especially considering that access to fresh, healthy food is either difficult or impossible. Even if it is available, that food may be too expensive to buy or even of poorer quality. The upshot? Research shows that people who skip meals or eat less when times are tough are then vulnerable to overeating when food is available, which sets them up for weight issues and the myriad of health problems that accompany that weight, according to the Food Research & Action Center (FRAC). Even worse, parents may sacrifice their own nutrition so their kids can eat. Yet when people receive healthy foods from food banks, their health can improve. When low-income folks with diabetes received diabetes-approved foods through food banks, they were actually able to manage their diabetes better, according to this study from Feeding America. Those foods included items like whole grains, beans and low-sodium vegetables along with recipes and cooking tips. Recipients of these foods not only ate more fruits and vegetables but also improved glycemic control, which can lower risk of other issues like eye and kidney disease. Some were even able to manage their medications better. That doesn’t mean, however, that food banks always provide the right solutions. According to a new study from the Journal of the Academy of Nutrition and Dietetics, people who have to rely on food banks may not be getting enough dairy, fruits or vegetables to fulfill their nutritional needs. Researchers evaluated dietary quality, essentially whether all food groups are being included in the bags, and nutritional quality, a measure that takes into account individual nutrients in bags of food being handed out. In both cases, the bags failed to deliver, falling short on dairy and key nutrients like vitamin A, vitamin C, zinc and calcium. So how are New York City’s food banks doing? 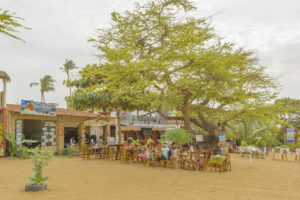 Take, for instance, City Harvest, which has been tracking the types of food it delivers, even setting nutritional standards for its food, since 2004, and the data is telling. More than 50 percent of what City Harvest rescues and delivers is produce and 75 percent of its foods are nutrient dense. “City Harvest takes the nutritional quality of the food we distribute very seriously,” says Kate MacKenzie, City Harvest’s director of policy and community engagement. City Harvest defines nutritious food as fruits, vegetables, whole grains and other items that are high in lean protein, fiber, vitamins, minerals and other important nutrients while also low in sodium and added sugar. More than 50 percent of the food it distributes is fresh produce, some of which comes from the state of New York. Food Bank For New York City utilizes dietary guidelines for Americans and MyPlate, which advocates that half of the plate consist of fruits and vegetables, as reference points when considering and defining the health of foods. As a result, it works to limit the amount of sodium (think no- to low-sodium foods), saturated fats and added sugars in purchased foods while educating donors and its network about the importance of healthy foods across a person’s lifetime. Last year, in fact, at least 89 percent of the food it distributed met federal, state or local guidelines for nutritious food. “The fact that people are struggling financially shouldn’t change the quality of food that’s made available to them,” Fournier says. Trouble is, though, these food banks rely on food donations from a variety of sources, including individuals and community-sponsored food drives. In spite of lists that detail what these food banks want and don’t want, donors may still drop off unhealthy foods, perhaps as a way to eliminate food waste in their own home. That doesn’t always sit well with City Harvest. If sugary drinks and candy get donated in large amounts, they’ll be declined, says MacKenzie, admitting, though, that everybody deserves a treat from time to time so it will rescue the occasional dessert item. Fournier admits that the Food Bank for New York City will also accept treats from local bakeries. However, there’s a back door for unhealthy foods to enter these food banks, namely through food drives. “Items can be collected through food drives and bundled in with bulk donations that don’t meet our nutrient-dense parameters,” Mackenzie says. 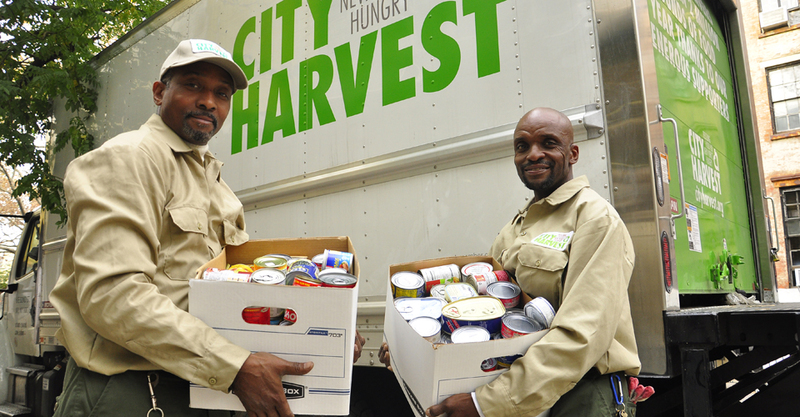 Yet rather than throwing them out, City Harvest distributes all foods it rescues to soup kitchens and food pantries in its network which can choose how to distribute the food. “We don’t discard any food that’s fit for consumption,” she adds. Food Bank For New York City also repurposes foods that don’t meet its definition of healthy. “In the event that we receive foods that do not meet the criteria above, we actively work to make it unavailable to youth programs and direct it to where it has been requested,” Fournier says, adding that they’re directed to programs that serve adults only, not kids. While sugar-sweetened beverages, which have constituted only about three percent of total donations in past years, are a key target of this policy, it also applies to unhealthy snack items. And therein lies the conundrum that every food bank faces. With hungry mouths to feed, throwing away food at a food bank, no matter the quality, poses a moral (and environmental) dilemma, but of course, giving unhealthy food to others isn’t necessarily the answer either, especially considering that these food banks are also educating recipients about better nutrition. That then sends mixed messages when they deliver less-than-healthy foods. Fortunately, there are organizations working on these problems. One of them is Amp Your Good, a company in headquartered in New Jersey that developed a new type of food drive called Crowd-Feeding that’s held online. “We wanted to reinvent what food drives can do and tap into the fact that donating food is one of the most popular forms of giving in the U.S.,” says Patrick ONeill, CEO of the company. The site works like a wedding registry in that food banks identify items their recipients need the most. These, though, aren’t ordinary canned and packaged goods, many of which are loaded with fat, sugar and salt. Instead, the focus is on nutrient-dense, fresh foods like fruits and vegetables that traditional food drives simply can’t collect because of spoilage. Instead of placing food in collection bins, individuals and organizations then go online, check off what food items they want to donate and purchase them. At the end of the food drive, Amp Your Goods buys the selected items and delivers them to the designated food banks. Organizations like Amp Your Good don’t have to act alone, though. Individual contributions to food banks can also be reinvented. Bottom line? Rather than saturating food banks with junk food, either from your pantry or direct from the store, consider the health of those in need and donate only nutritious foods. (Think whole grains like brown rice and rolled oats, whole-wheat pasta, dry beans, nut butters, low-sodium canned beans and soups, and unsweetened applesauce.) In the end, you’ll be making an even bigger difference in the lives of those who depend on food banks. CORRECTION AND EDITORS NOTE: The following line was removed from the article, and was not accurate: “Food Bank For New York City also repurposes foods that don’t meet its definition of healthy. They’re either dished off to places like youth programs, which can be problematic since it’s not a wise idea for youth to eat this food, or used to fill special requests.” We misread the quote from Food Bank For New York City who does fantastic work. The point we were trying to make is that throwing away any food feels wrong, but what do you do with the unhealthy food you receive? We are sorry for any misrepresentation and would never want anyone to think that Food Bank For New York City is not doing the best possible work to help NYC.